The Saudi ministry of Haj and Umrah announced Thursday that Qatari pilgrims can join other pilgrims to perform the Haj and Umrah rituals despite the ongoing diplomatic row between Qatar and its neighbors led by Saudi Arabia. Qatar’s neighbors namely Saudi Arabia, United Arab Emirates (UAE) and Bahrain, in addition to Egypt have cut land, sea and air links with the small gulf rich country. They accuse it of sponsoring terrorism. 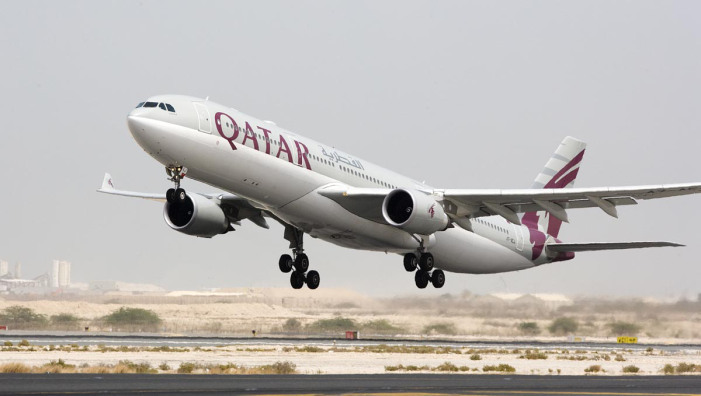 The ministry said Qatari pilgrims to attend Umrah can fly to Saudi Arabia on board any carrier except Qatar airways, banned from the Saudi airspace. During the Haj season to start early September, pilgrims can enter Saudi Arabia via two airports only, namely Jeddah and Madinah airports aboard carriers warranted by the Saudi General Authority for Civil Aviation (GACA), the ministry said. Haj is the fifth pillar of Islam that Muslims able and capable to afford must perform at least once in a lifetime.